Welcome to this last minute Open Lines discussion. Unfortunately, our planned guest, Dr. Greg Autry, had a last minute urgent plan change so we went to Open Lines for the evening. 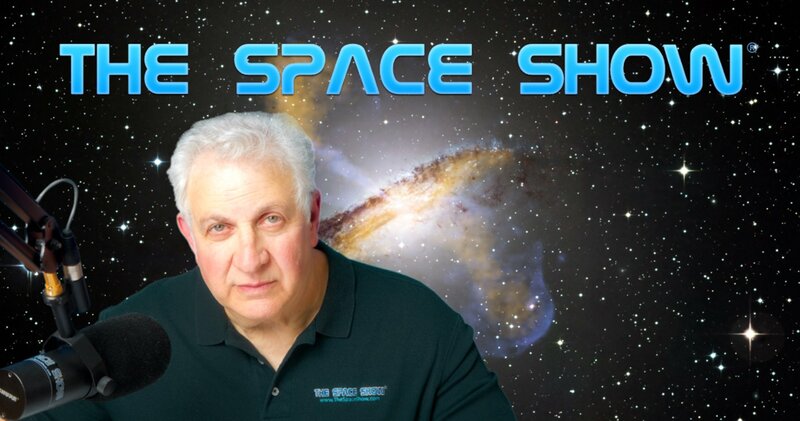 Please note that Dr. Autry has rescheduled and will be with us for a special Space Show program on Monday evening, May 6 starting at 7 PM PDT. I opened the discussion with a few suggested topics including asking if listeners thought we were serious about getting to the Moon on the 2024 timeline. Marshall called first but wanted to talk about the Falcon Heavy launch and then the loss of the core booster on the barge trip back to port. I mentioned I was really impressed with the terrific launch but that I had a problem understanding why the booster was not firmly secured to the barge to survive rough seas. As an example, I cited seeing barges coming into the San Francisco-Oakland ports all the time with large containers on board. These barges seem to survive trips across the Pacific Ocean without containers breaking off and going into the water. I thought that maybe there could be better systems to secure the boosters. I then read some blog comments about this incident on the Howard Bloom blog plus Burton from Montreal joined in the discussion with us via email. I opened the question up for Space Show listeners who were following this incident asking them to post on our blog and update us with the most current information. I hope this will happen as the program hits archives. We moved to a break at the bottom of the hour for a return to a short second segment given this was a last minute Open Lines program without any advanced promotion. Note that I did explain why I was skeptical about the 2024 timeline for returning crew to the Moon. Let us know your thoughts on the subject by posting on our blog. For the second segment we took a call from Tony who works at the Griffith Observatory in Los Angeles. Tony mentioned he had been at Griffith for 40 years but he called to tell us what happened when Griffith live streamed the FH launch on their big screen in their auditorium. He said about 100 people were there and they were very enthusiastic about the launch. In fact, he used the word "thrilled." This led to Tony talking to us about general population interest in SpaceX launches, going to the Moon and typical Space Show subjects that we talk about all the time. You don't want to miss his comments about this as he went back in time to the Apollo launches and how public interest even faded after for the later Moon missions. As part of this discussion, I mentioned how Southern California was a hot bed of activity supporting the early space program and the Apollo missions. One would think that the early space program would have lots of followers and interested folks since it was happening in their backyard to speak. Again, listen to what Tony said about this going back through his history with Griffith and his having been around, albeit at a very young age, when we went to the Moon. Other topics I mentioned during the program included the abundance of space books and films showing up this year, possibly because of the Apollo 50th anniversary. I mentioned an upcoming PBS three part program on Apollo scheduled for early July. I then asked the listeners if the liked the author Space Show programs, what type of space books they liked the most and I asked if they bought the books and if so, what type of books are the books listeners actually purchase. I would still like to get this feedback so please post your response to these questions on our blog. Another suggested topic included comments and a paper by Dr. Avi Loeb and others suggesting possible earlier fast moving interstellar objects had entered our solar system and maybe even crashed on Earth. You can search for his work quite easily but here is the link to one of the article I saw on this subject; https://www.space.com/second-interstellar-object-a-meteor-discovery.html; Also, check out https://arxiv.org/abs/1810.04307. Please post your comments/questions for this show on our blog. If you want to reach either of our callers, please let me know.